ST. PETERSBURG — The developer of ONE St. Petersburg, Tampa Bay’s tallest condo tower, is being sued over alleged construction and design defects at another of its bay area condo projects. The Water Club Snell Isle Condominium Association says the Kolter Group and related companies committed dozens of code violations in the building of the 95-unit complex four years ago, according to a suit filed this month in Pinellas County Circuit Court. Among other things, the suit alleges problems with peeling paint and stucco, excessive condensation on windows, counter, sink and vanity heights that do not meet code and improperly installed joints and structural slabs. Because of the defects, the condo association "has been and will be required to expand large sums of money for the repair and maintenance" of the property, the suit says. It also cites "depreciation in value" of the units, seven of which are now on the market at prices ranging from $605,000 to $1.035 million. Kolter, based in West Palm Beach, did not return a call or email for comment Wednesday. Kolter is best known in the bay area for development of ONE St. Petersburg, a 41-story, 253-unit condo tower in downtown St. Petersburg that will be one of the tallest buildings on Florida’s West Coast when finished later this year. Built by the Kolter-related Kast Construction, it is nearly sold out with units priced as high as $4 million. Kolter also developed the adjacent Hyatt Place hotel that opened last fall. 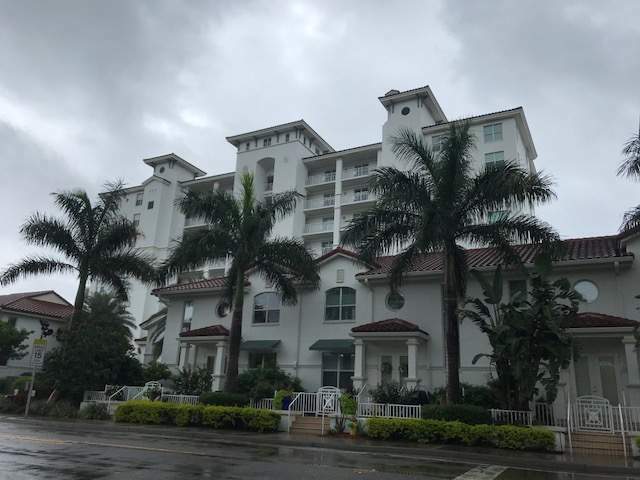 The Water Club Snell Isle Condominium Association is suing the developer and others over alleged construction and design defects in the 95-unit complex in St. Petersburg. Two years ago, a Palm Beach County condo association reached a $22.5 million settlement with Kolter and 17 other defendants in one of that county’s largest civil suits ever. San Matera The Gardens Condominium Association initially sought $36 million to repair 30 buildings, home to more than 1,000 residents whose luxury condos disintegrated as water seeped through walls, roofs, windows and sliding glass doors. In that case, which dragged on for years, condo fees rose by as much as 10 percent a year to bankroll legal fees and emergency repairs, the Palm Beach Post reported.